Located just one hour away from Guatemala City, this is the most visited destiny because of its history and its cultural beauty. The city of Santiago de los Caballeros is a colonial city, founded in 1543, which was the administrative, political and religious center of Chiapas and Central America until the year 1773. 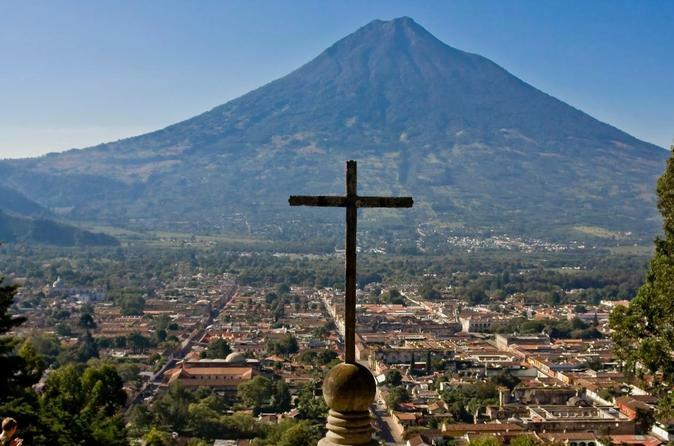 You will be picked up from your hotel in Guatemala City and will be transferred on an air conditioned vehicle to Antigua. During this tour you will visit the Plaza Mayor, where the Cathedral, City Hall and El Palacio de los Capitanes Generales are located. Next, you will visit the Templo y Convento La Merced y San Franscisco where you can find the tomb of the only Central-American saint, Hermano Pedro de Betacurt. The tour lasts about 4 hours and will be taken back to your hotel in Guatemala City once the tour is over.